Buttons & Switches There are 17 products. Bally / Midway Reset pushbutton Direct replacment for reset pushbuttons used on many Bally/Midway boards including Pacman, Ms Pacman, Galaxian, Bally pinball, Williams system 3-6 mpu, etc. DPST Cherry Interlock Switch. 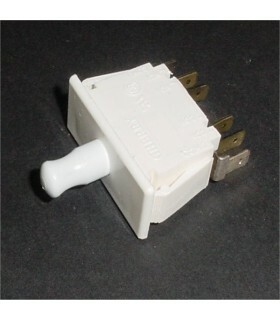 Safety switch used on virtually all arcade cabinets. 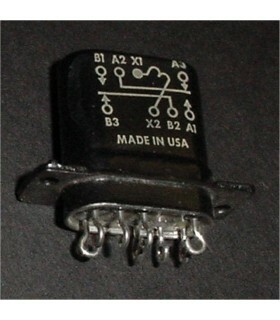 10 Amp F79 Series. Can be pulled out to lock the switch in on position. *New parts pulled from unused equipment. Red "cocktail style" Pushbutton switch N.O. Contacts rated 3A @ 125vac Requires 1/2" mounting hole. 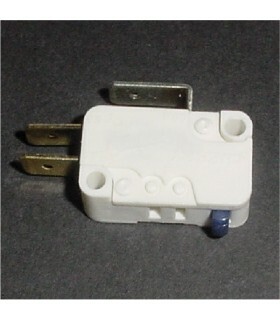 Coin switch actuator wire for cherry switches. 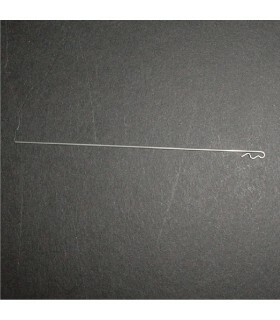 Wire must be formed when installed. PCB Mount Pushbutton Switch 4 Pin DIP Package These work great for a galaga pcb reset if you clip two of the leads. Should work on other boards as well. 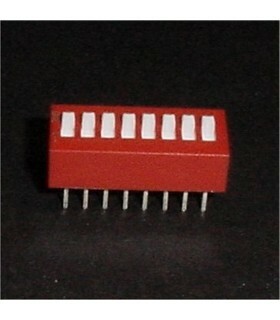 Dip Switch -8 Position 16 Pin DIP Package Just about every arcade pcb will have at least one of these on it. Joystick / button leaf switch, 1 11/16"
Zippy brand microswitch. 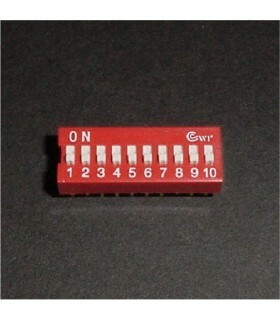 Standard switch used for joysticks and buttons. These have very light actuator force, very smooth and quiet. Color of switch body may vary. Nintendo Punch Out "Knock Out" button. New correct replacment "KO" button and switch. New part, commercial duty.